I know a lot of you have websites for your businesses, blogs, or hobby sites. Let's see them. We aren't looking for a sales pitch here but just want to see what everyone's up to. Etsy sites are fine too. Thanks, I'm looking forward to seeing this. One of my websites is Moose Creek Primitives. I work mainly in Candles & Soaps. My Paper cutouts Etsy Shop! I do these on 8x8 cardstock with an exacto knife. I love the Dia De Los Muertos inspired skulls the best! 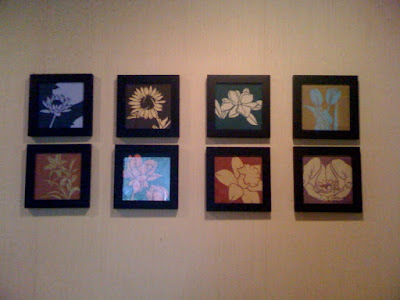 These look beautiful by themselves on a smaller wall and look great with a bunch of them all framed together! Here's mine even though I took some time off. Some choose to study history, but Marines choose to create history. We make personalised pillowcases with a pouch for pyjama's. Last edited by Sam; 12-25-2009 at 06:16 AM. I currently have shops on three of the 'major' handmade sites... soon they'll all be linked off my main website (listed below in my signature). Lot's of handmade rock decor, trinkets, and prizes! Mine is www.honeybee69.etsy.com . I have alot of crocheted items and some sewn. I sell crochet patterns also of things I have designed.